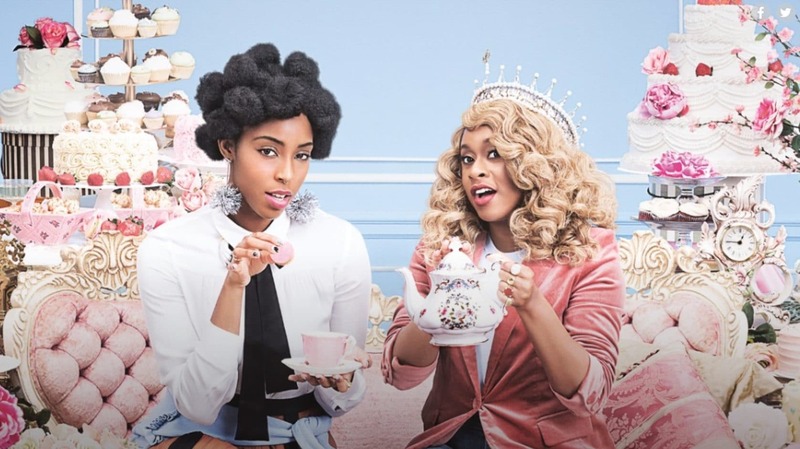 Phoebe Robinson and Jessica Williams revealed why they won't be back for a third season. 2 Dope Queens stars, Phoebe Robinson and Jessica Williams sat down with Angela Rye to dish details about the upcoming season of their hit HBO show during an intimate brunch event at the Sundance Film Festival on Sunday. The ladies served up several hilarious moments during the exclusive event and discussed everything from hair-braiding to politics with host, Angela Rye. Are you ready for ‘2 Dope Queens’ to take over your TV? Still, she fessed up to a few attributed that might get her Black card revoked. “The braiding is bad. When we landed I saw three Mormon men and I thought, ‘They’re attractive. That’s fine,’” she joked. With Kamala Harris announcing her candidacy for POTUS in Oakland on Sunday, the conversation took a natural turn to politics. Robinson explained that her own brother, Phil, has stepped up in their hometown of Cleveland where he recently ran for office and won, flipping the spot from red to blue for the first time in decades. She went on to explain her frustration with the current trend of mud-slinging in the political arena. Robinson also weighed in on how the public’s habit of holding candidates to impossible standards may be the party’s downfall. The ladies gushed about the time they spent with our Forever First Lady, Michelle Obama when she appeared on their podcast. Lastly, Jessica Williams and Phoebe Robinson explained why their hit HBO series, 2 Dope Queens, won’t be returning for a third season.